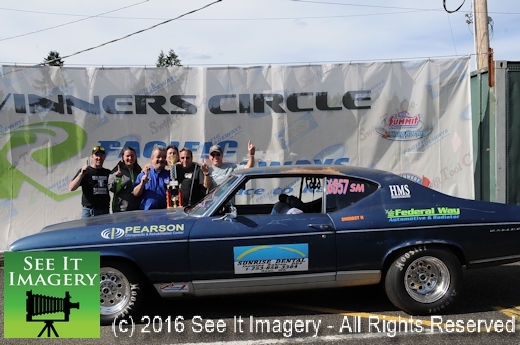 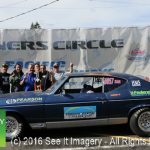 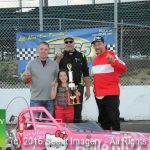 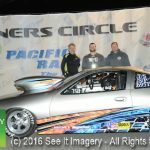 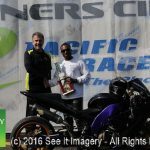 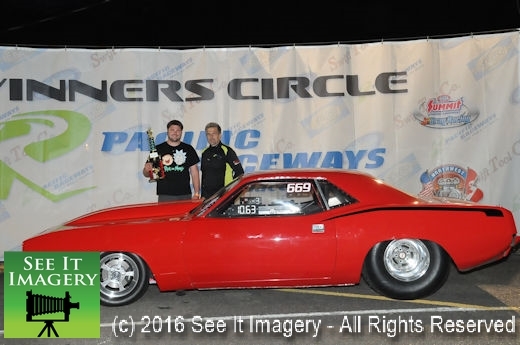 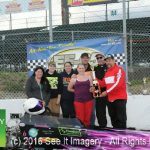 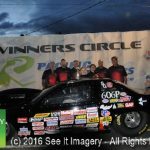 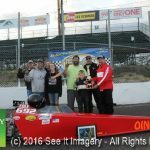 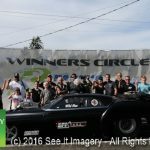 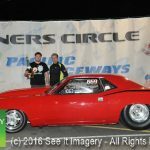 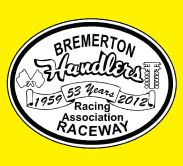 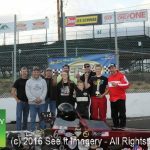 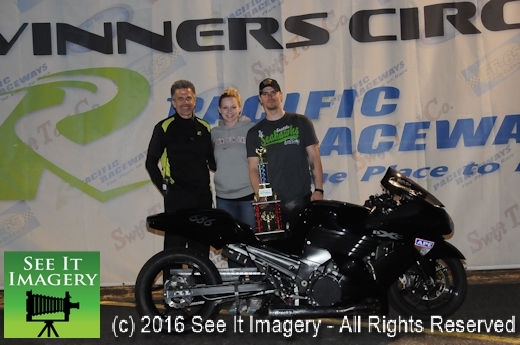 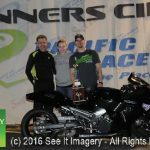 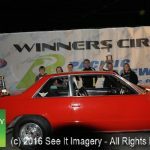 12 June 2016 Kent, WA – An action packed weekend of racing brought well in access of 200 entries spread among thirteen classes on Saturday and seven on Sunday. 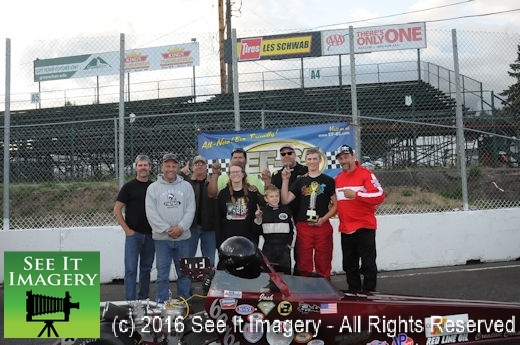 Fighting off mother nature on Saturday as the track prepped and ready and cars called to the lanes, came the DOWNPOUR. 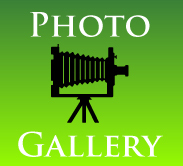 Just enough to soak everything and everyone scampering for cover. 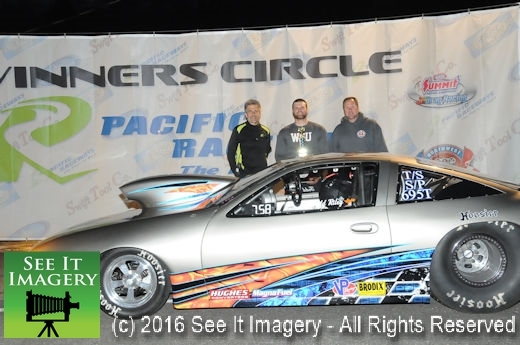 When the rain finished the Pacific drag crew brought the track back to condition as if the rain never happened. 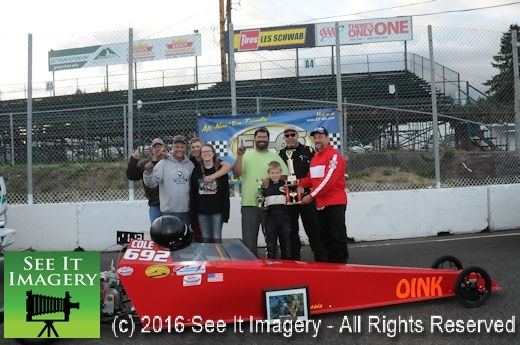 Plenty of thanks from all for this well oiled crew earning the track the nickname “the house of hook”. 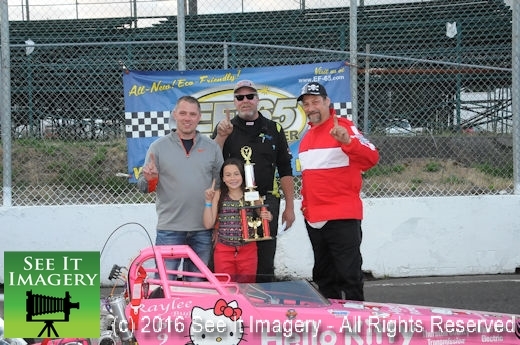 This crew takes pride in track prep that will pull your shoes off if you are not careful. 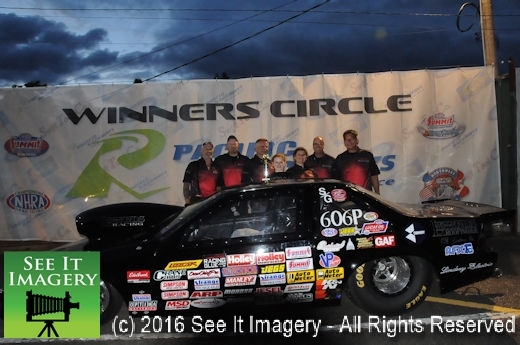 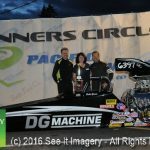 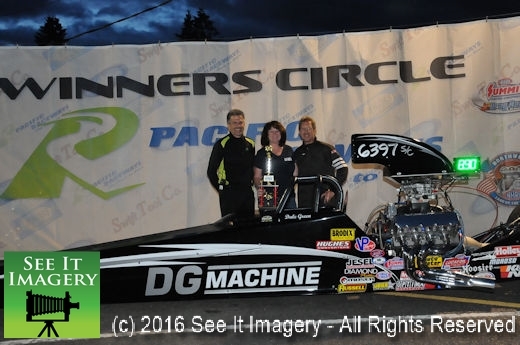 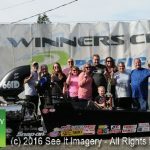 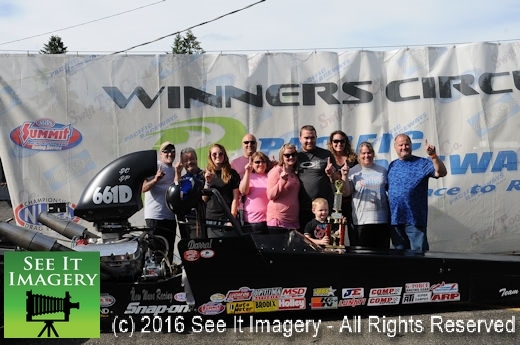 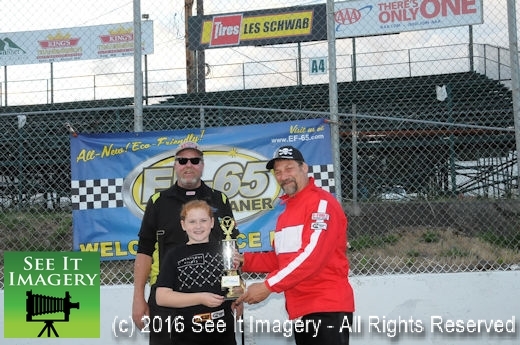 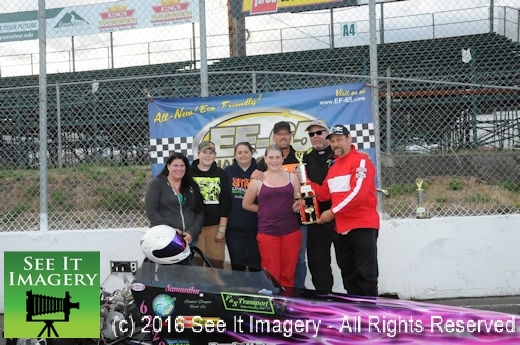 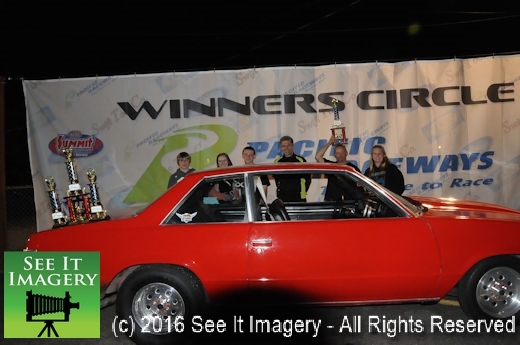 Noticing this grip first hand Jonathan Hillstrand of the “Deadliest Catch” TV Show out to earn his license to race and giving the Jr. Dragster winner’s a big congrats and trophies. 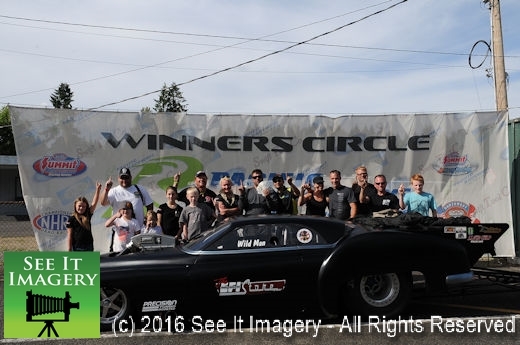 It was quite a thrill for them as their faces showed big smiles. 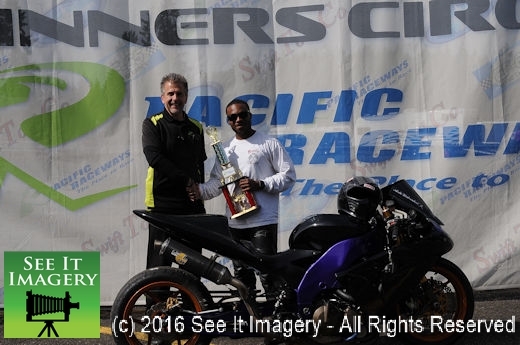 Day One – Super Saturday Album – Click here. 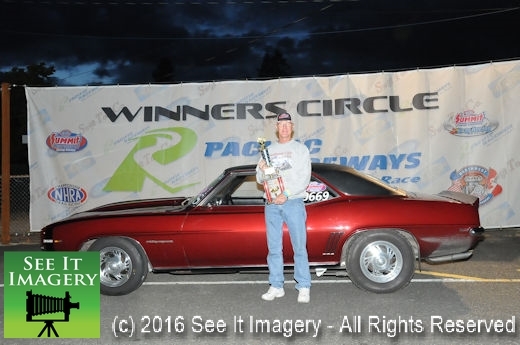 Day Two – ET#6 & Outlaw 10.5 Sunday Album – Click here. 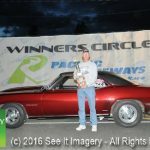 Super Gas: Glenn Paine Jr.